Trusted color accuracy. The PA243W is a 24” IPS LCD monitor that raises the bar for color critical applications including photography and video editing. Offering an full 100% coverage of sRGB color gamut, 99.8% of Adobe RGB, 95.5% of DCI-P3 and 80.0% of Rec 2020, you can trust that the PA243W will deliver the colors that you need. Its always-on backlight sensor, internal 14-bit 3D programmable lookup tables (LUTs) provide stable white points and accurate color rendition for the life of the display. 10-bit DisplayPort and HDMI connectivity provides the highest color fidelity and built-in USB 3.1 hub with DisplaySync Pro™ makes it a fit for any configuration. 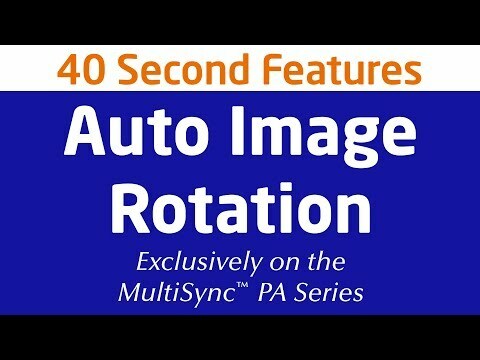 In addition, Picture in Picture and Picture by Picture modes allow for real-time print emulation, simplifying your workflow. 11.5 lbs. / 5.2 kg. Zak Killian at the Tech Report hails the PA243W for filling the niche in high quality 16:10 monitors and praises the new model for its color capabilities. NEC MultiSync PA243W ranks favorably against competition as a suggested video and photo editing monitor. 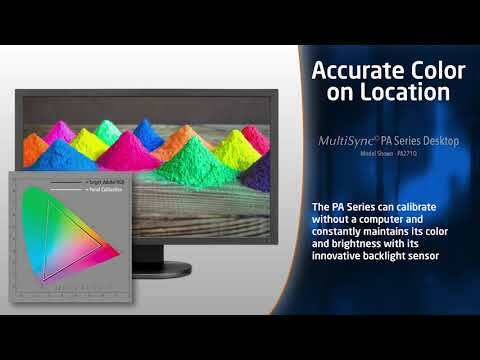 NEC's PA243W display is detailed in regards to its use for editing and photography. NEC Display's PA243W monitor is positively reviewed in detail. NEC Display's PA243W desktop monitor is positively reviewed and detailed. NEC's PA243W and PA302W are featured for their color accuracy and many calibration options, in a roundup of 2018's best professional monitors for photo and video editing, and graphic design.